Sudanese President Omar al-Bashir flew home from South Africa Monday, defying a Pretoria court order to remain in the country until it decided whether he should be arrested on war crimes and genocide charges. Bashir had been in Johannesburg for an African Union summit, but the International Criminal Court sought to compel his arrest while he was there. The ICC has charged him with genocide, war crimes and crimes against humanity for sending the army and backing Arab militias to put down an armed uprising in the Darfur conflict in 2003, but Mr. Bashir has long resisted the court's authority. Sudan's official news agency said Bashir would hold a news conference at the Khartoum airport when he arrives there Monday night. Before Bashir left South Africa, both the United Nations and the United States called for his arrest. UN Secretary General Ban Ki-moon said, "The authority of the ICC must be respected and its decision implemented." 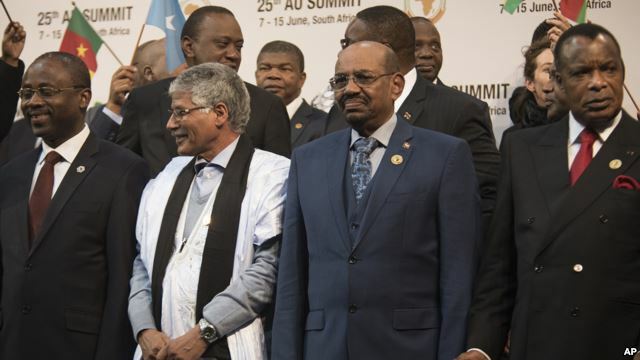 Earlier Monday, Sudanese Information Minister Ahmed Bilal Osman told VOA that the president "is not a criminal" and attended the summit after getting assurances from South African President Zuma. "We have very good relations with the government of South Africa," Osman said. "We know that they are not going to arrest the president and nothing will happen."